The settlement of the Pension Regulators claims provides welcome news to the BHS pension holders, offering a better outcome than would have been expected had the BHS scheme entered into the Pension Protection Fund. It has previously been reported that Sir Philip Green had originally offered in settlement approximately £250m, but that Pension Regulator had been holding out for something in excess of £350m against an originally reported £571m deficit. 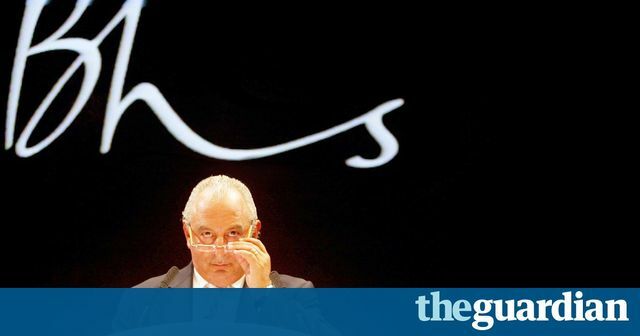 A settlement of £363m would seem to suggest that legendary negotiating skills of Sir Philip Green gained little traction with the Pension Regulator, however due to fiendishly difficult calculations that go into considering what is required to rectify a pension deficit it is not easy to draw too many conclusions from the final settlement figure. Early reporting of the demise of BHS and the resultant pension deficit at times sought to draw parallels with Robert Maxwell. This was not however a case where monies were withdrawn or 'invested' in the failing business, rather a more prosaic fall in investment returns and insufficient support being provided by the employer business, perhaps exasperated by a sale to successor who did not have the experience or expertise to turnaround a business the size of BHS. The Pension Protection Fund is there to protect pensioners from losses that would otherwise arise from the insolvency of the employer business and has as was evidenced in this case 'claw-back' powers to ensure that the loss does not fall to be covered by the Fund if there is a party identified as a potential contributory. This case seems to be a success story for the Pension Regulator and the exercise of the legislation. The extremely negative press coverage, Parliamentary scrutiny and criticism for following the demise of BHS until this settlement, has been less successful for Sir Philip Green as far as the damage to his prestige and reputation as one of the most successful and canniest of UK retailers. In normal business dealings a long period of hard negotiation and bargaining would allow for a better deal. If the period required to reach settlement has resulted in a 'better deal' for Sir Philip I wonder if he thinks that it has been at price worth paying. Sir Philip Green has agreed to pay up to £363m into the BHS pension scheme as part of a cash settlement with the Pensions Regulator. BHS collapsed into administration last April, leading to the loss of 11,000 jobs and leaving a £571m pension deficit. The collapse of the retailer led to a high-profile parliamentary investigation and calls for Green to be stripped of his knighthood. Green said the settlement represented a “significantly better outcome” for former BHS staff than the scheme entering the Pension Protection Fund, a lifeboat for failed pension funds.